This was a great year for movies. Not as good as 2014, but definitely a great year. 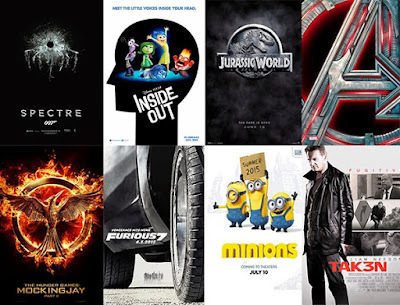 We got some great independent films, some awesome blockbusters and a fantastic year financially at the box office. So as we conclude 2015, I'll still be seeing and reviewing 2015 films until the night of the Academy Awards. I want to make sure I see all the nominees before the big night. With that said, I still haven't seen many of the heavy hitters this year. I haven't been able to see films like The Revenant, The Hateful Eight, The Big Short, Carol, The Danish Girl, Brooklyn or Trumbo yet, so really this list is complete. But as of today, December 31st, here are my top 5 favorite films of the year, with a few honorable mentions. 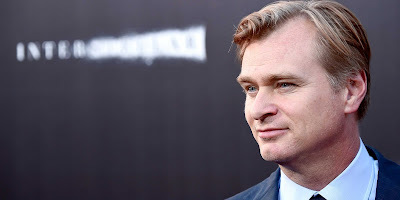 Christopher Nolan is my favorite director working today. He is an incredible visionary, and two of his films are in my top ten favorite movies of all time (The Dark Knight and Inception). He knows how to craft a story, characters and leaves the audience confused and wondering. So when I heard he had a new movie coming out in the summer of 2017, I was very excited. I couldn't wait to find out what he would be working on next. He is at the top of his game, and could make anything he wanted to right now. So what would Nolan be working on next? Well, now it seems that we know what his next film will be. With 2015 coming to an end, this is probably my last review of the year. And what better film to cap off such a fantastic year in film than Room. This movie has been getting accolades as being one of the best films of the year. I have heard nothing but rave reviews for this film, and only one theater was playing it anywhere near me. So I went and sat in the smallest, most cramped theater I had ever been in. And I was really annoyed, questioning why I even went. But as soon as the first frame of the movie appeared on screen, I forgot about all of that and was glued in. And my attention never dropped until the screen went dark. 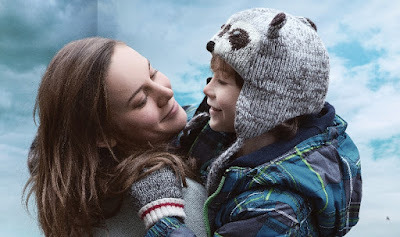 Room is truly a tragic but beautiful film. 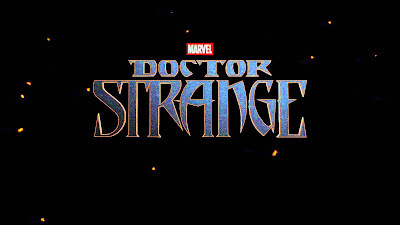 One of the more interesting comic book movies of next year is Doctor Strange. Not only is it the introduction of a very new hero for Marvel, but it also introduces the idea of magic and mysticism for the cinematic universe. Horror director Scott Derrickson is helming the film, which has an all-star cast of Benedict Cumberbatch, Rachel McAdams, Chiwetel Ejiofor, Mads Mikkelsen and Tilda Swinton. Other than the Avengers movies, this may the most talented cast in a single Marvel movie ever. I was saying long before he was cast that Cumberbatch would be perfect for Doctor Strange. He has a very deep voice that would be perfect for casting spells. He fits the tall and slender physique of the character, and is just an excellent actor. He was phenomenal in The Imitation Game last year. So I am very excited to see him in this film, and now we have our first look at not only Cumberbatch as Strange, but at the movie itself. Deadpool is officially my most anticipated film of next year. I love the comic book character, and from everything we've seen, it looks like they've gotten this character right! I have a feeling this is going to be one of the most surprising and best movies of next year, and could quick off a whole era of R-rated mainstream comic book movies. There is so much hinging on this film, and I think it looks incredible. Now, a new redband has dropped for the film. Technically, it dropped on Christmas Day, hence some of the jokes, but I've been busy this holiday season with family and whatnot and I haven't gotten around to posting on this site. But now I'm here, and so is the Deadpool trailer. This weekend, Star Wars Episode VII: The Force Awakens, Sisters and Alvin and the Chipmunks: The Road Chip opened in theaters. Let's take a look at this past weekend's box office. In its opening weekend, Star Wars Episode VII: The Force Awakens came in first place. This has been an incredible weekend for this movie. It beat Jurassic World's record for biggest opening weekend ever, both domestically and worldwide. In all markets, Star Wars made $528 million, and it hasn't even opened in China yet. This is going to be a mammoth movie at the box office, and it has a real shot at beating Avatar's record of highest grossing film of all time. But we'll have to wait and see if it can reach those audacious numbers. You can read our review for the film here. 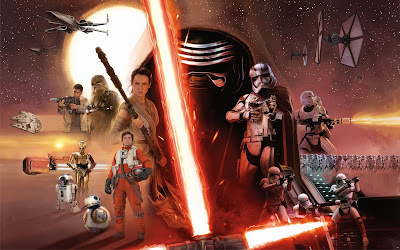 Star Wars Episode VII: The Force Awakens has been my most anticipated film of 2015 for the better part of the year. So many questions hung around this film. Would it be good? Would it be the return of Star Wars? Would it break Avatar's record and become the highest grossing film of all time? You can read all about my box office predictions for the film from all the way back in October here. This movie was ensured to be a financial success. Regardless of how awful the film could have been, it was going to make money. But I don't care about the money. I'm not getting any of it; in fact, I'm spending it. I care about if the movie is good or not. So when I walked into the theater, losing my f*cking mind with excitement, all I could do was pray that this movie would be awesome. And, in short, it is. It's hard to believe that Star Wars Episode VII: The Force Awakens is just right around the corner! We have been waiting patiently (mostly) for so long, and it's finally here! 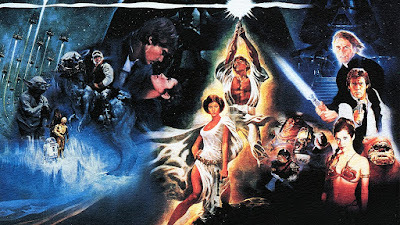 So with this release, of course, comes my reviews for the original Star Wars trilogy. Let's forget about the other three. I hadn't seen these movies in a while, so I ordered my Blu-Ray copy and got all set to re-experience the magic of Star Wars. So here it is: my review for the original trilogy! This is my review for Star Wars Episode VI: Return of the Jedi. You can read my reviews for A New Hopehere, and for The Empire Strikes Backhere. Keep in mind that there will be spoilers. This is my review for Star Wars Episode VI: The Empire Strikes Back. You can read my review for A New Hopehere. Keep in mind, there will be spoilers for the film. In this editorial series, I will be doing a weekly collection of all things nerdy. Some of the article will be a wrap-up of some movie news, perhaps casting rumors or images; stuff that doesn't necessarily warrant an entire article but are still important. Then the rest will be different geek culture items, such as memes or videos. I will try my best to post these every Saturday. 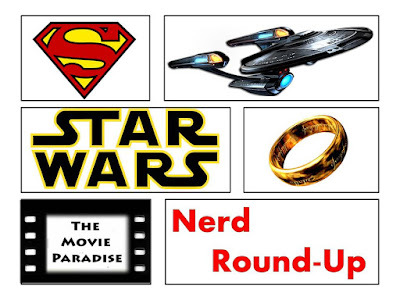 So let's get our hands nerdy (okay, that was terrible) and check out the geek picks of this week.